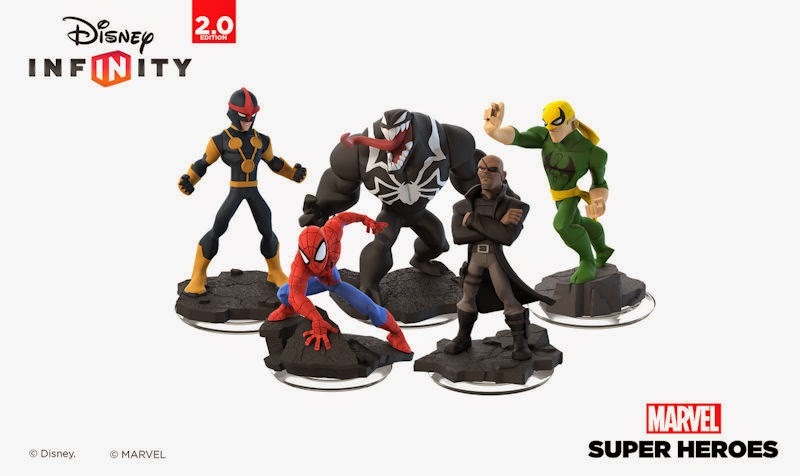 The twelve year-old in my brain is still giddy about Disney Infinity 2.0 and the addition of Marvel characters this fall. 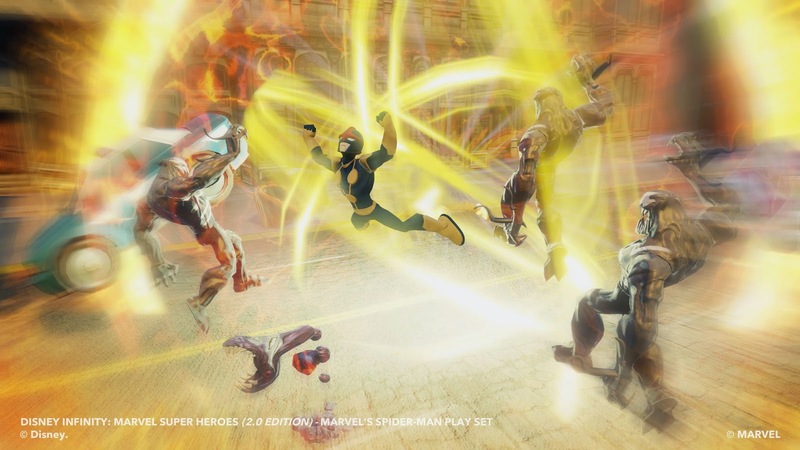 At E3 today, Disney Interactive announced Spider-Man will join the fray with a new play set that includes the web slinger as a playable character along with Nick Fury, Iron Fist, Nova and Venom. 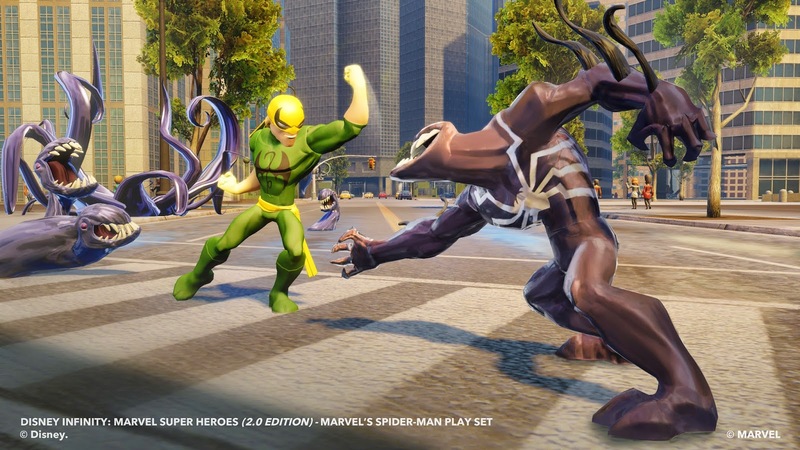 The storyline centers around Spidey's arch-nemesis Green Goblin out to destroy S.H.I.E.L.D. by cloning symbiotes from Venom and unleashing them on Manhattan. Sounds like a party to me. 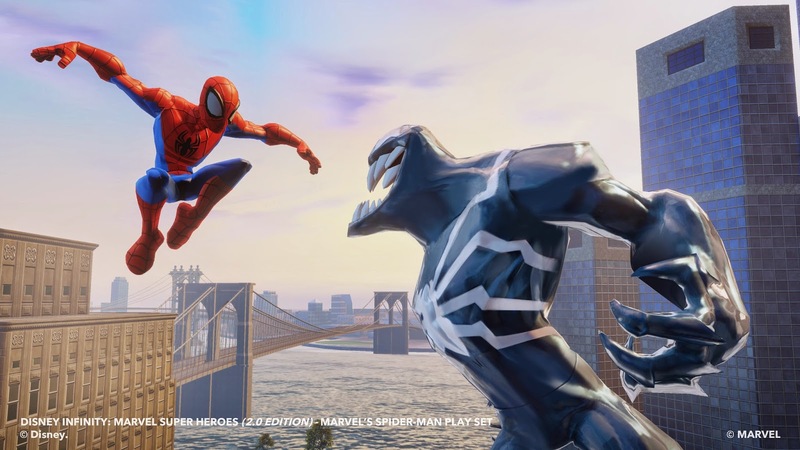 As your favorite hero, you can battle Green Goblin, Mysterio and their evil minions on the streets, in the air, underground and in laboratories. 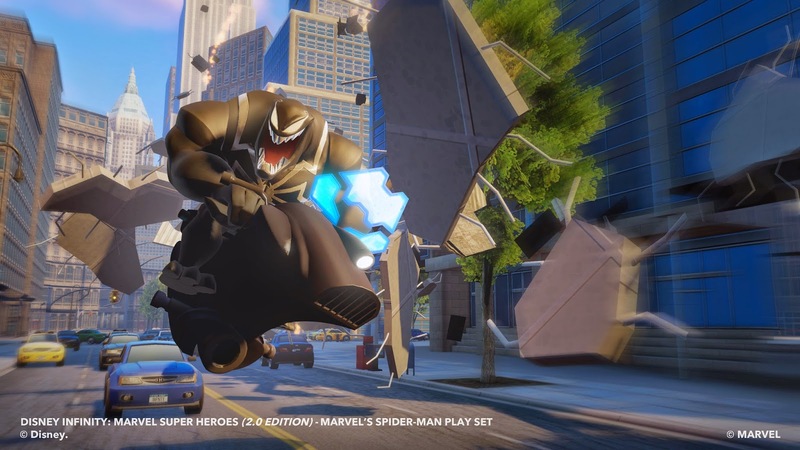 Along the way, you'll encounter other denizens of the Marvel universe like White Tiger, Black Cat and Luke Cage and use all manner of cool props, weapons and vehicles. 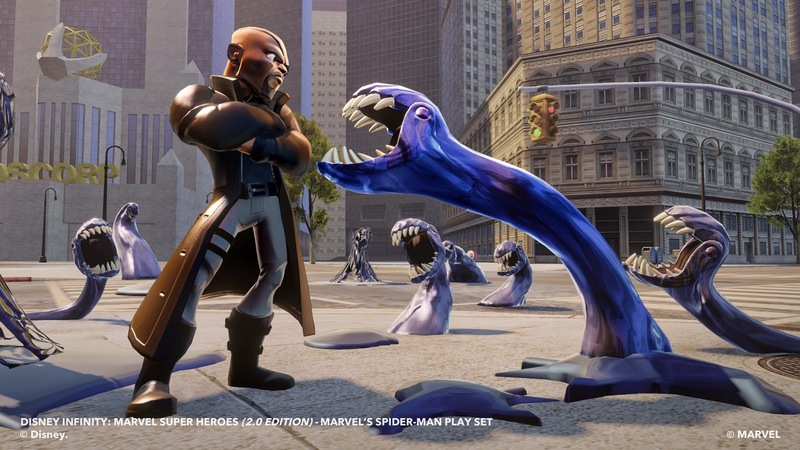 Like with all the other Disney Infinity sets, you can also break out in Toy Box mode, creating whatever imaginative worlds strike your fancy, and pull your other Infinity characters into the mix.